After 2 and a half months with Tyler, I'm now able to share with you reviews of some baby products that I've been using so far! A big bulk of my major baby products were from www.koopers.co, which includes our baby car seat, baby cot and beddings, stroller, bottles and other car and travel accessories! I'll be doing the reviews in a few parts, and here's the first one on our baby car seat and baby cot from Koopers.co! Koopers is a distributor of some of the best yet affordable baby brands around. 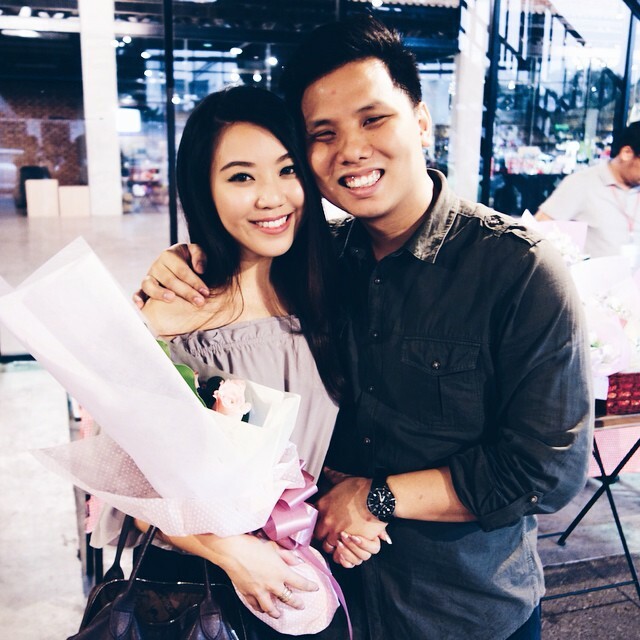 Joseph from Koopers Distribution is a father himself, while Wong has had 10 years experience selling baby car seats and is passionate about educating parents on the right usage of baby car seats as he has come across many instances of injuries and even fatalities in children due to the incorrect usage of car seats. A screenshot of their official website, where you can shop online from and have your purchases delivered to your doorsteps! 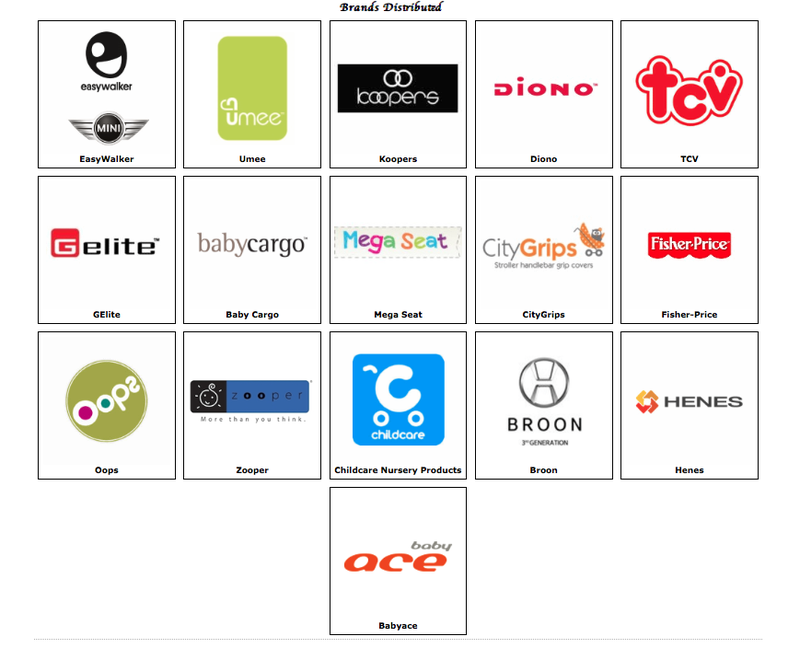 Some of the brands distributed by Koopers.co. Aside from carrying carefully selected International brands, Koopers also manufactures their own line of baby car seats! 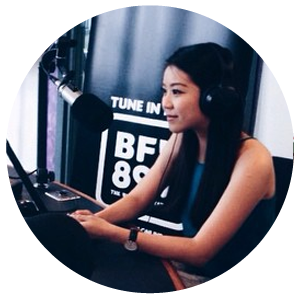 Boon and I were invited to visit their showroom in Shah Alam to have a look at some of the products they carry, and learn more about how to safely use them. All the different Koopers car seats on display. Wong and Joseph from Koopers giving Boon and I a thorough guide on how to properly install the car seat, and also sharing with us why it's important to always put our baby on the car seat no matter what! #1: In many countries such as the US, Australia and the UK, it is a law that children MUST travel in a car seat. Without it, parents receive a penalty. I wonder when Malaysia will be enforcing this law! A lot of children travel in a car without car seats or even seat belts. Glad to see that more and more new parents are educated about the importance of baby car seats, but still, more people needs to know. #2: Up until 13kg, baby car seats should be rear-facing. This was a real surprise for me cos I always saw baby car seats facing forward, in movies and also real life! 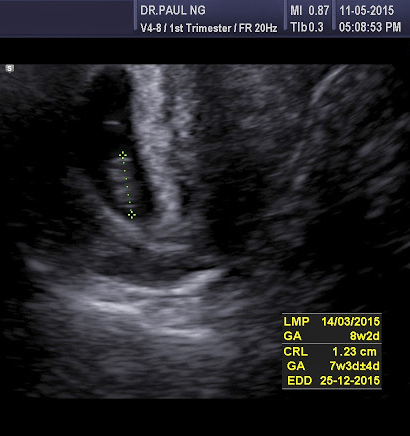 When I found out that our baby needs to be placed facing the back, I was like, "But...why?? It's so poor thing for them to not be able to see what's in front or their parents! Or for their parents to see what they're up to in the car seat behind!" Then, the guys from Koopers played these videos for Boon and I to watch. 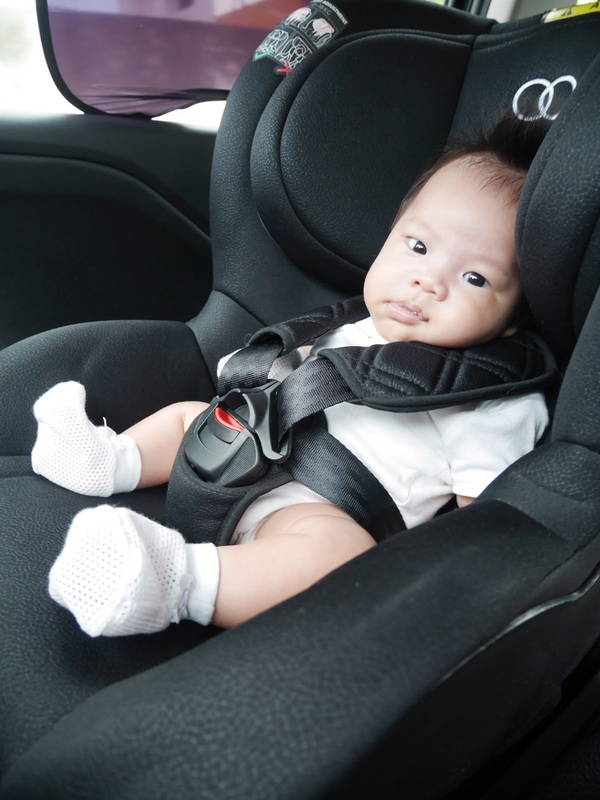 To ensure that their car seats are safe enough to be distributed, the guys at Koopers decided to put their car seats to the test by the Malaysian Institute of Road Safety Research (MIROS). Below are two videos of crash tests for car seat facing forward and rearward at 50km/hr. And seriously, nobody drives at 50km/hr these days. So can you imagine the impact on a baby if the driving speed is at 100km/hr or more?? Could you also see the difference in impact for front and rear-facing car seats? 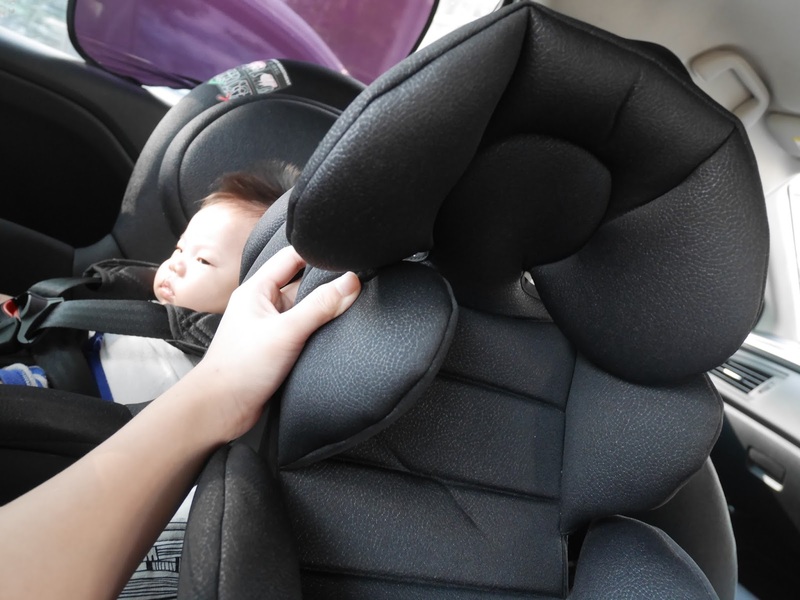 The child's neck is much more protected for rear-facing as compared to front-facing car seats, so that explains why babies under the weight of 13kg must be placed rear-facing. At such young age, their necks are not strong enough to survive such high impact, so it is better to be safe than sorry! While some of the Koopers car seats are installed by using the traditional car seat belt methods, the newer series such as Koopers Mambo car seats are installed using the Isofix function. Prior to this, I had zero idea about what ISOFIX was all about. Joseph from Koopers asked me if our car had ISOFIX, and I was like, "Sorry, what's that?". I only know what is brake and accelerator :") Hahaha just kidding! But seriously the words ISOFIX was very new to me. Later on I was relieved to find that indeed my car has the ISOFIX functions specially tailored for ISOFIX car seats! So with ISOFIX, we can now just tuck the baby car seat along with its ISOFIX base into the adult car seat without needing to secure it with seat belts, which could get pretty complicated. ISOFIX is the international standard for attachment points for child safety seats in passenger cars. The system has various other regional names including LATCH ("Lower Anchors and Tethers for Children") in the United States LUAS ("Lower Universal Anchorage System") or Canfix in Canada. It has also been called the "Universal Child Safety Seat System" or UCSSS. #1: Eliminate fitting problems common with the use of adult seat belts. The crash test car seat survived with little scratches here and there! Therefore, one of the most important products that any new parent should get first would be a good car seat. It's the first thing that your baby needs upon leaving the hospital! Yeap you heard me right, upon leaving the hospital. Which means nope, we're not supposed to hold our babies in the car on the way home. Not even when he/she is just a newborn. Car seats these days are newborn-friendly with infant inserts to be installed on the car seats so that the little ones could fit more snugly in the big car seats. Plus, this particular carseat has 4 reclining positions to suit different ages and purposes. Usually when Tyler is up, we would put him on a more upright sitting position so he could see things in front of him, and when he's sleeping we would tilt it backwards a little so that he could recline. 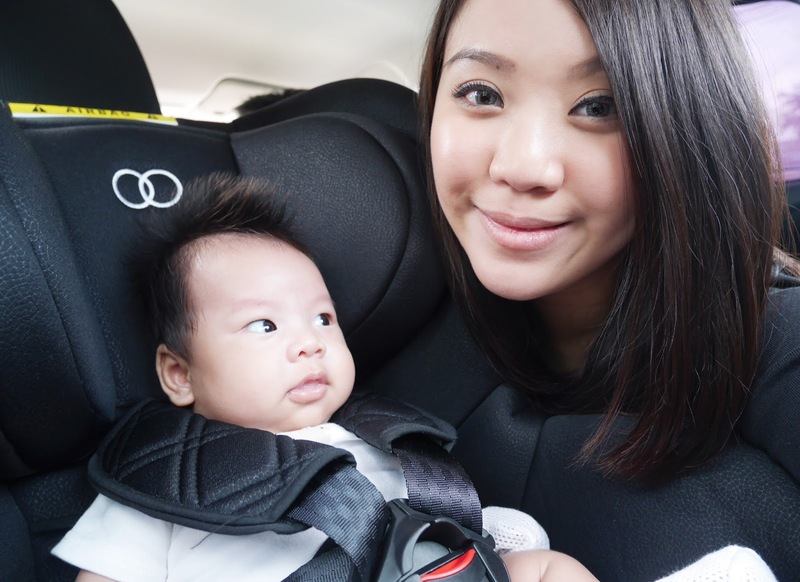 After seeing for myself and hearing the safety facts of a car seat, Boon and I told ourselves no matter what we MUST put our baby in the car seat each time we travel. We've heard of instances where babies refuse to be strapped on a car seat and that they would cry all the way if they were forced to be on it, so we tried getting Tyler accustomed to his car seat from the very beginning! Yeap, here's my designated seat these days whenever we travel with Tyler, and Boon becomes our driver! :P And please excuse my no makeup face. Was at the beginning of confinement and too tired/lazy to doll up. We made it a point that besides needing to feed him in the car (no choice), we would place Tyler on his car seat. Since we started early, he knows that each time we get into the car, he needs to be on his "seat". That has become so normal that he never fusses whenever we strapped him in, and would only fuss when he needs to feed or an urgent diaper change. At 1 and a half months we removed his infant insert because it became a bit too tight for him haha! 2 and a half months into using his car seat and he's still loving it! Hopefully it stays that way! "Look, ma! No infant insert! Me is big boy now!" "Okay, mommy. You shouldn't be here, you know. It's not safe." To keep him "entertained", we place his toys in front of him for some distraction. But most times he'll just be staring blankly into space, looking out the window into the skies and street lights at night, or sleep. To see what he's up to, we bought a mirror from Mothercare to place right in front of him! This is for our peace of mind to check on him at traffic lights when we drive alone. You would spot Koopers car seats on display at a few baby product shops! You can also check out their products at their showroom or purchase directly online HERE! Prior to meeting the guys at Koopers, Boon and I had been looking for a good and sturdy baby cot. We've checked out various places that sell them, and found that they were mostly lacking quality and sturdiness (made with low quality wood/too light and small in size), OR the other opposite- good quality but too huge and expensive! We were glad we put baby cot shopping on hold cos when we met the peeps behind Koopers, we were absolutely delighted to find out that they, too distribute baby cots! When I went to their website to check it out, I was excited to see that they had quite a few choices of baby cots to choose from! The thing that attracted me the most was, of course, the design. 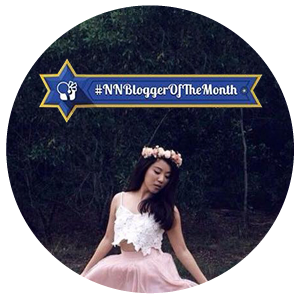 #vainmom No one can deny that it is really pretty looking! And a nice looking baby cot makes the whole room look that much better! And the price was very reasonable too. After we visited Kooper's showroom and having looked at all the other baby cots (some of which isn't up on the website yet), I was even more certain that I wanted the Koopers Sleigh 4-in-1. 1) It is really as pretty in real life! 3) It is a convertible! 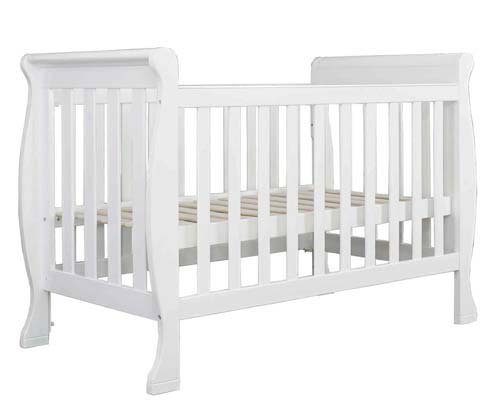 As the name of the cot suggests, it is a convertible 4-in-1 baby cot! 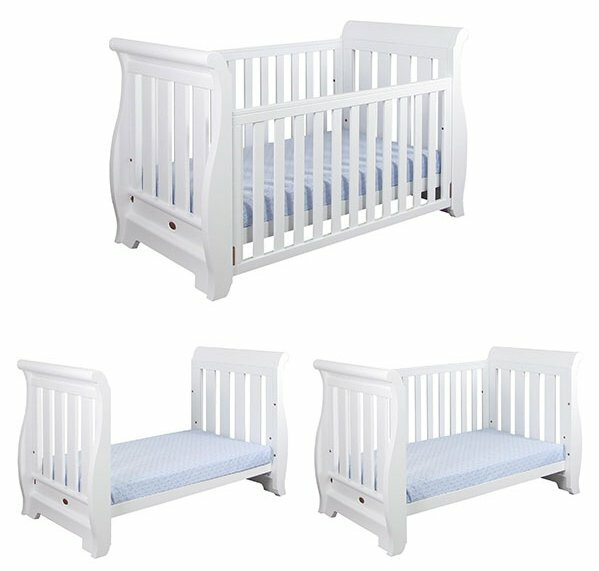 The cot can be used 4 ways- as a normal baby cot, as well as a playpen, junior bed, and sofe bed! It is 52" in length (132cm), so unless Tyler grows tall super duper fast, he would still be able to sleep in it until he's 9-10 years old (yesssss no need to buy bed for the next 10 years haha). So if you're worried that the baby cot will be going to waste after your baby is older, fret not. 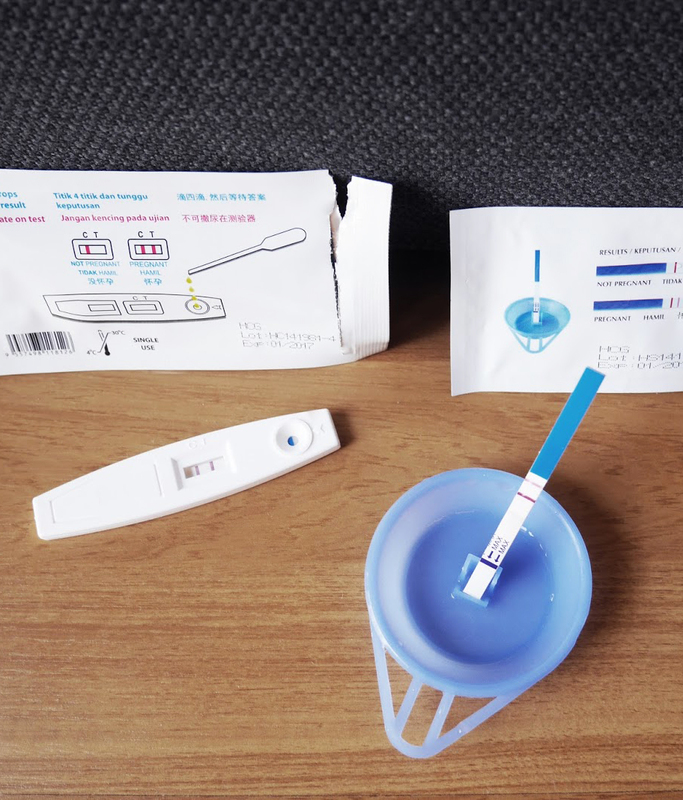 It will still be useful cos it can be used in so many ways! 4) It comes with a natural latex mattress + bedding set! To me, that's the best deal ever because it's so troublesome having to look for a separate mattress and bedding set that fits nicely elsewhere! I actually tried searching everywhere for bedding sets that fit the cot measurement, but found that they were either too small or not very nice haha. 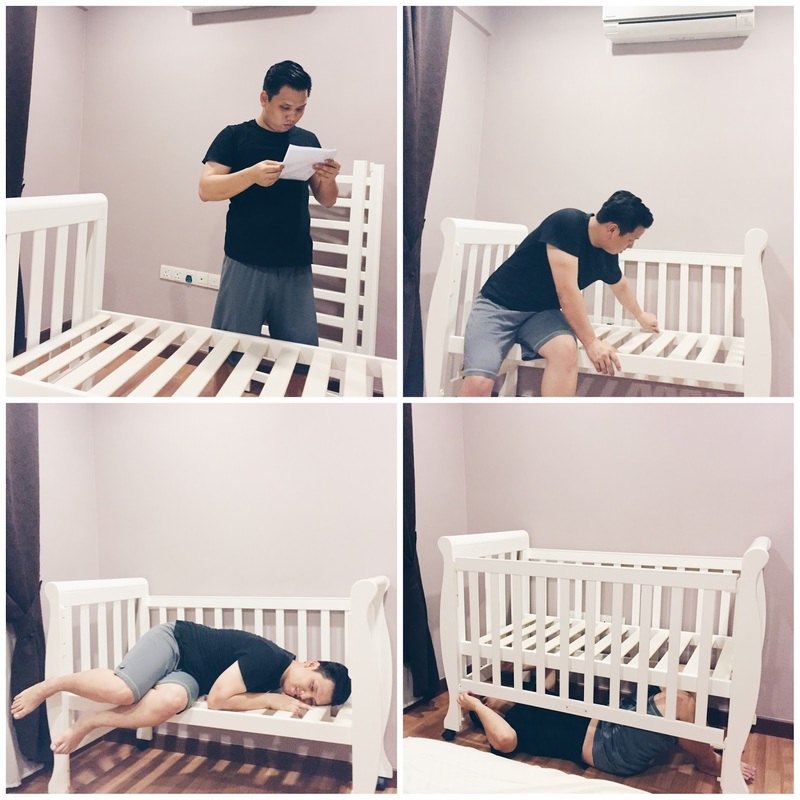 So when I found out that the natural latex mattress (worth RM499) and bedding set (worth RM399) comes together with the cot, we were very much relieved! 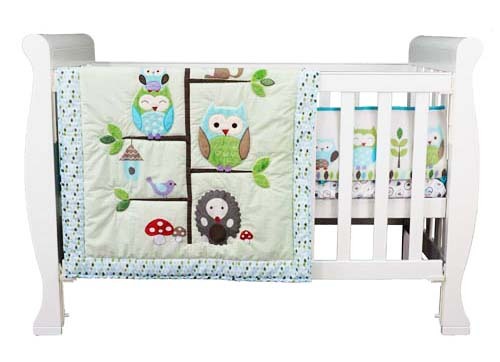 They have a few adorable designs to choose from (Blue owl, Giraffe and Pink Owl) and we decided on the Blue Owl bedding that comes in 4 pieces- 2x cot bumpers, 1x bed sheet, 1x comforter). That's Joseph from Koopers demonstrating to us how we can adjust the cot accordingly, which is super simple! And if I think it's simple, it is REALLY simple hahaha! 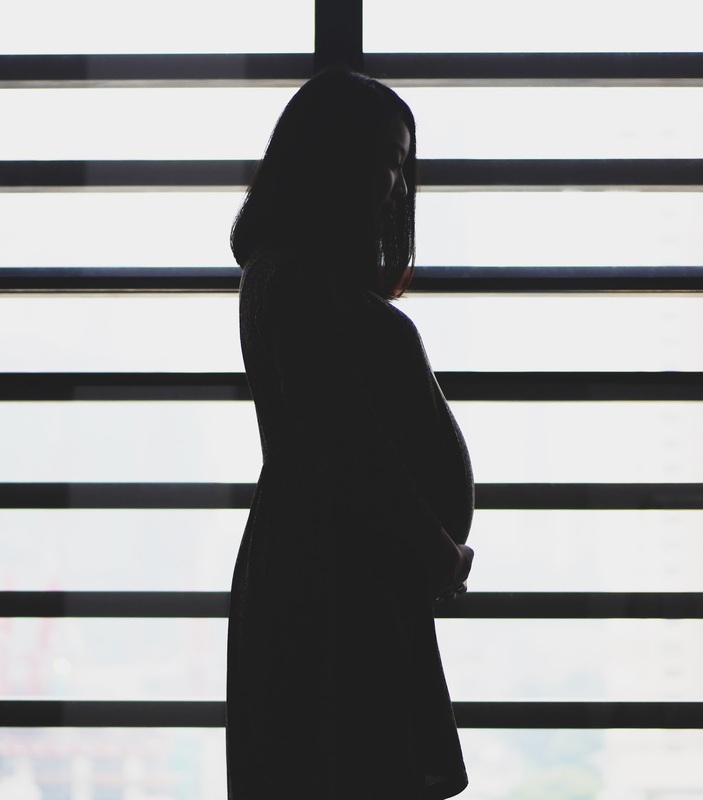 Since then, with the baby cot all set up and ready to welcome our little one into this world, we had been imagining him sleeping in it every night we go to bed, and every morning when we wake up. Each time I passed by it, my heart would flutter as I visualised him sleeping soundly in his crib. A better view of his cot. See how tiny he was in the cot that he could sleep across the bed? Hahah! That's our poor baby treating his jaundice with a rented phototherapy biliblanket. Front view of our pretty baby cot! That's daddy attending to his new son. We love the quality of the bedding set too! 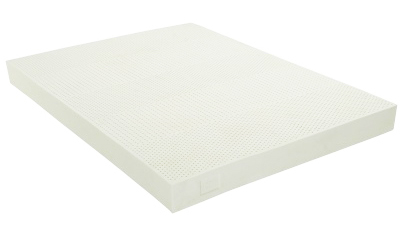 The natural latex mattress is also super comfy, and warranty is 10 years! Ngam ngam la Tyler can sleep there until he's 10 years old hahaha! Tyler and his first toys from IKEA! That's him just a few days old. 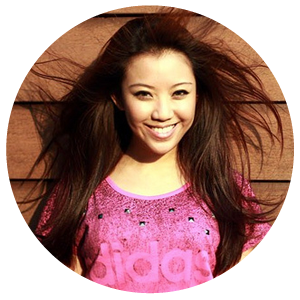 You can shop online directly from their website, and have the products delivered to your door step! Delivery is for Klang Valley only, ranging from RM150-200 (installation fee included) depending on the distance. You can visit Koopers Distribution showroom to see, touch and try the products for yourself! Make an appointment prior to your visit so they could ensure that their specialist will be present to attend to your enquiries. 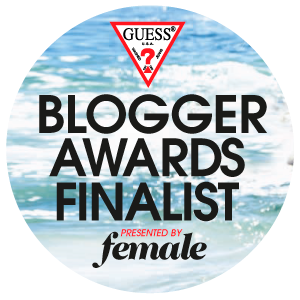 This post is filed under Advertorials, Lifestyle, Motherhood. Where can i find biliblanket phototherapy device.